Getting that smile you’ve always wanted doesn’t necessarily mean shelling out big bucks. Usually, it starts with a few simple steps you can take right at home. You’ve heard it all before, the droning of a parent reminding you to get into the bathroom and “brush those teeth!” As it turns out, oral health care should begin a few days after birth according to the American Dental Association. The ADA recommends wiping your baby’s gums “with a clean, moist gauze pad or washcloth” after every feeding to prevent baby tooth decay. 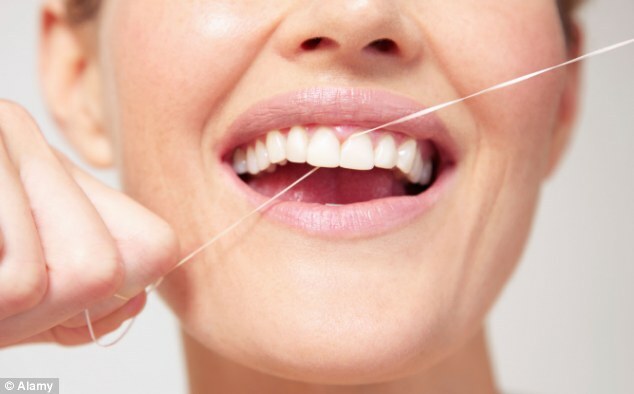 For the rest of us whose mouths were not swabbed out so early, brushing your teeth twice a day along with flossing will remove germs that cause bad breath and plaque. In addition, a consistent six-month cleaning will alert your dentist to any issues you may have, and hopefully prevent a small problem from morphing into a major one saving you time, money, and pain. On average, a general cleaning should last around 40-60 minutes, the exact time it takes to eat a meal. Bleeding gums are usually indicative of gum disease, but not always. As regiscourtdental.com explains, “gum disease is usually painless, you may not know you have it.” Plaque that is not brushed off the teeth daily can lead to hardened tartar, which can easily turn into Gingivitis. Gingivitis is associated with red, swollen gums that can bleed freely. If left unchecked, it can escalate into periodontal disease, which is an inflammation that can destroy the supporting tissues surrounding the tooth, leading to tooth loss. At this point, seeing a dentist is a must to get a treatment plan. Of course, even with the best of care, you may need major cosmetic work done. Dentures, implants, bridges, and crowns all fall into this category. Dental restorations can rebuild the shape of your face and improve how you look and enjoy food. If done properly, dental restorations should last a lifetime with little to no maintenance. Another popular cosmetic procedure that should be done professionally is tooth whitening. Currently, there are many options to choose from including: trays, whitening strips, or paint-on teeth whitening. Some of these can be bought over the counter, but a professional whitening has a much higher percentage of peroxide than a store-bought kit. Some teeth, however, cannot be whitened to match the rest of the surrounding teeth and that’s when you may have to consider getting a veneer. According to DocShop, a veneer is a porcelain composite that is bonded to the front of your teeth to help conceal chips, cracks and stains that can’t be treated with tooth whitening. Veneers are very strong and should last many years. Maintaining good cleaning habits is key to a healthy mouth and avoiding major problems. Discuss with your dentist what you want and together you can make a plan to get that smile you’ve always wanted. Top electric Nail report Machines, appropriate For All Nail kinds.